A Kid at Heart | Neuroblastoma Research and Fundraising: Chase After a Cure! “Cancer is not who we are, it has shaped us, but it has not defined us” Morgan Pierce bravely stood in front of our 400 plus guests and spoke, conquering her fear of public speaking. 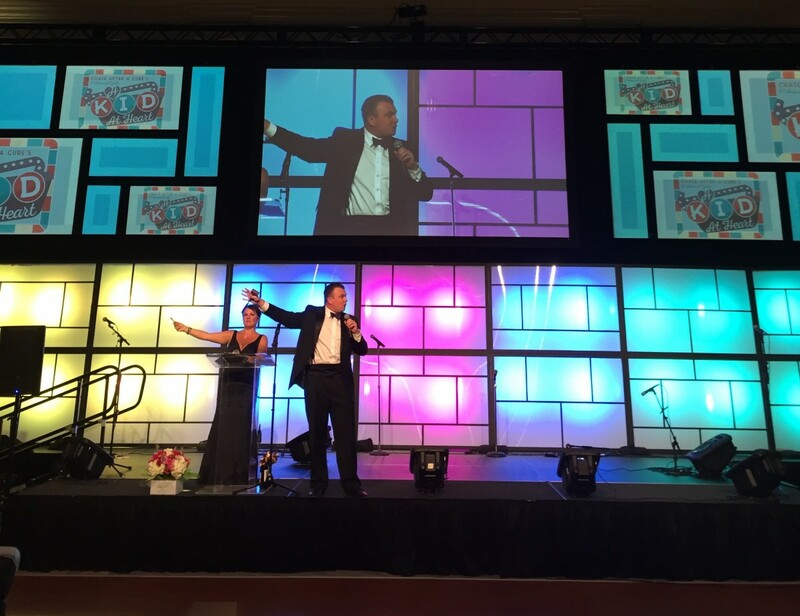 On February 4th 2017, Chase After a Cure celebrated the 9th annual gala, “A Kid at Heart.” The Gaillard Center in downtown Charleston was decked out with pieces from our childhood as well as some influential children and speakers. Guests enjoyed our kid at heart theme by delving into a kid-inspired menu from Hamby Catering including mac-n-cheese, chicken and waffles, and more. To satisfy the sweet tooth in all of us, we found cotton candy, a mini candy store, and for late night treats, ice cream and Bundtinis from Nothing Bundt Cakes! To wash down our food, the drink of the night was a Froot Loops cereal and milk cocktail. If you weren’t nostalgic yet, you could find us playing pinball on one of our old-fashioned gaming machines! 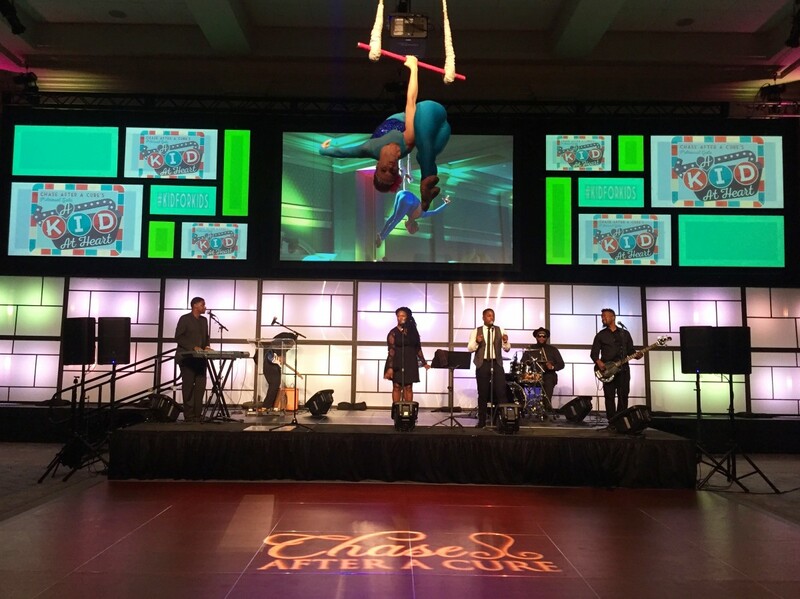 There was no shortage of entertainment with Quiana Parler and Friends Band, an Elevate performance, wall of wine, cereal box iPad give-aways, and more! 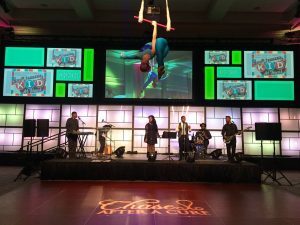 The musicians livened up the room and had everyone out on the dance floor while Elevate performed an amazing aerialist act all the way from the ceiling! As the night continued, guests were able to pull a cork and hope for a favorite wine or win an iPad by choosing a favorite cereal! 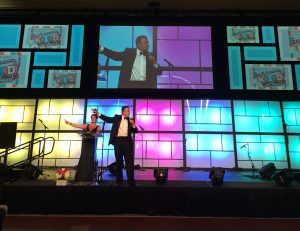 The silent and live auctions were a success thanks to our amazing guests, sponsors, and donations that helped create an unforgettable evening. Rob Ducat lead our auction and introduced Whitney Ringler to the stage to gather everyone together and inspire progress by saying, “Lets all challenge ourselves to give hope to families who are fighting for their child to live.” From the perspective of a mother who has had to watch her child battle cancer, Whitney introduced us to another mother who has become a part of the Chase After a Cure family. Katherine, who lost her daughter to neuroblastoma and has helped raise over $10,000 to Chase After a Cure, was finally able to attend a gala. After traveling nearly 9000 miles from New Zealand, Katherine spoke of her appreciation for the friendship her and Whitney have come to know and the hardships of losing their eldest child, Emily. “She possessed empathy and wisdom well beyond her years”; Katherine described her daughter with love and shared her story with everyone. Katherine told of Emily’s braveness during her last few months, “Emily was kind and stoic until the very end, even refusing to have a blood transfusion. ‘Save it for a kid that needs it’ she said.” As Katherine finished her speech, the room was quiet and empowered to help find a cure and to never stop chasing. It was a night for the community to come together, raise money for childhood cancer research, celebrate the children we have here today, and remember those we miss. Chase After a Cure thanks you for your support and involvement in a great cause! The STAR Act Is Signed Into Law!